There's a new trend in bathroom design that is seeing obvious square or circular shapes being eclipsed by an organic morphing of the two. 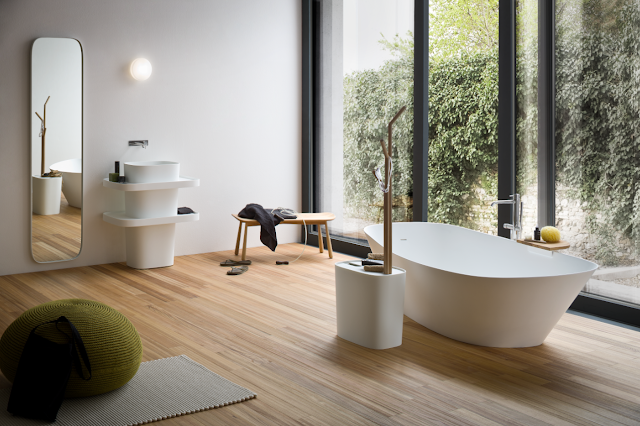 Rexa is an Italian brand that has introduced a new bathroom collection called Fonte. The design is inspired by trees and branches, embodying some of the current fascination of bringing the outdoors in (and vice versa). It's new to Australian shores but available via Paco Jaanson.